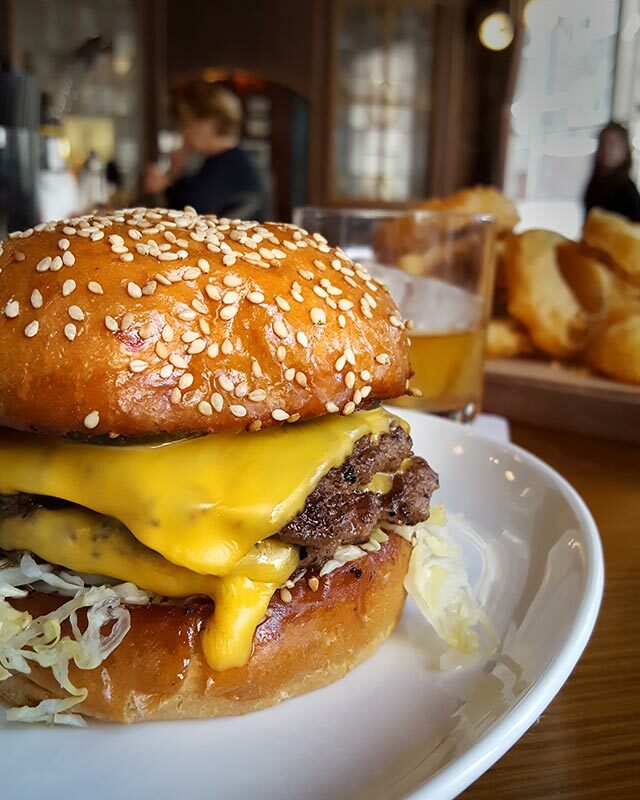 If you live in NYC and love burgers, chances are that you already know Mike Puma. 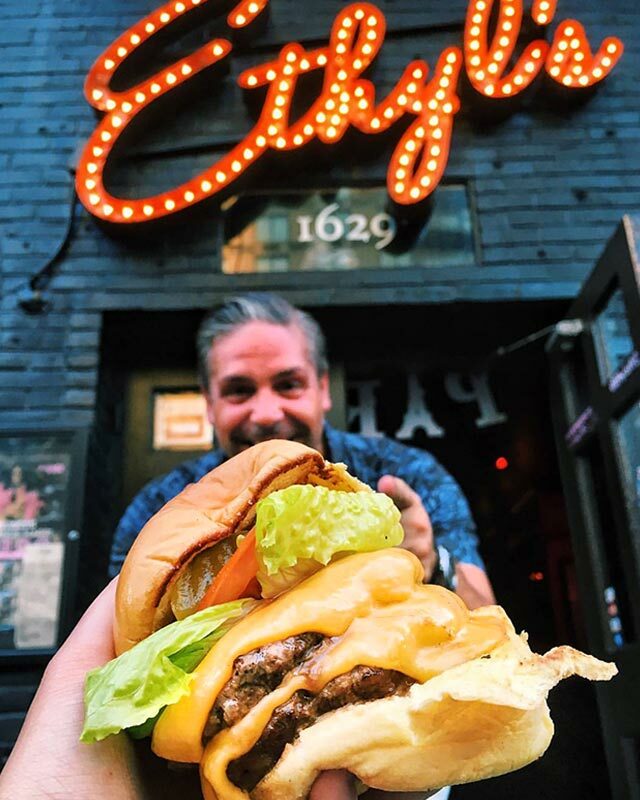 The Founder of Gotham Burger Social Club, an awesome group of mostly finance dudes that go around the city and eat burgers together, Puma’s Instagram @GothamBurgerSocialClub has amassed over 151,000 followers on Instagram. Although great burgers are their focus, these fellas also know their way around the bar. 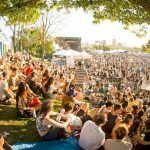 So in honor of National Burger Day on May 29th, I asked the expert, Mike Puma, to tell me his favorite spots for badass burgers and cocktails in NYC. This West Village newcomer is quickly becoming one of my favorite spots. Calling this a bar that serves good food is a disservice to the Spaniard. 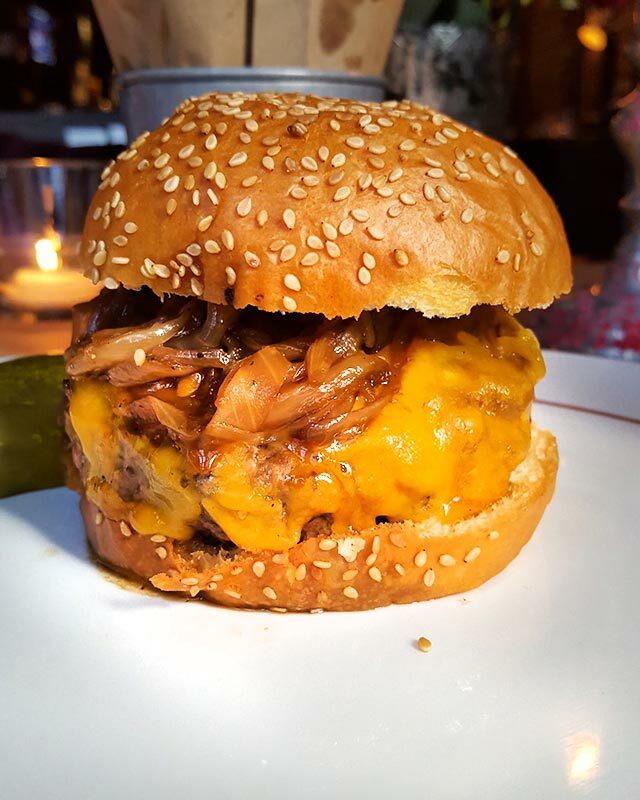 This place boasts an extensive whisky list, great cocktails and serves one of the best new burgers in NYC. This refined classic is a double patty with a special sauce that brings up so much nostalgia. At $13 it’s also one of the cheaper burgers out there. If whisky isn’t your spirit of choice try the Santiago made with tequila, sherry, orange bitters and topped with mescal. This bar is named after the oldest bar in Ireland and something tells me this Spaniard will be around a long time. Inside Tip: There is an off the menu dry aged porterhouse for 2 available for only $85 with 2 sides. Best deal in town. The 70’s are back! Ethyl’s is proof that the 70’s were a wild time in NYC and this late night spot is bringing back that NYC grit that has been washed away. 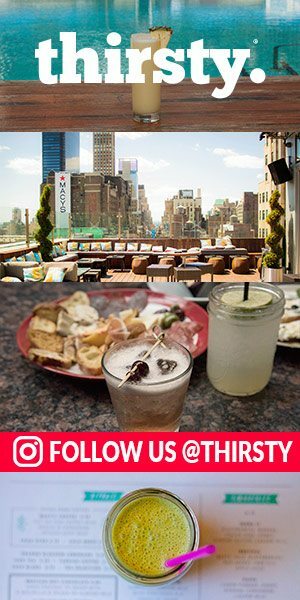 With cocktails that are created for people would like to drink and have fun, there is something for everyone. Maybe you’re in the mood for a Sleazy Mustache with mezcal or maybe my favorite, the Watermelon Felon with reposado, muddled watermelon, jalapeno, and lime. To soak up all the booze you’ll need some grub and this place is home of the Fi-Dolla Burger. It’s the best $5 you can spend! Add a topping for extra or be like me and make it a double for $9.99 and watch the pretty Go-Go girls shake their money-makers all night long. You know that no detail is overlooked with Masa Urushido managing the bar at Saxon + Parole. Please don’t go here and order a vodka soda or Jack and Coke. 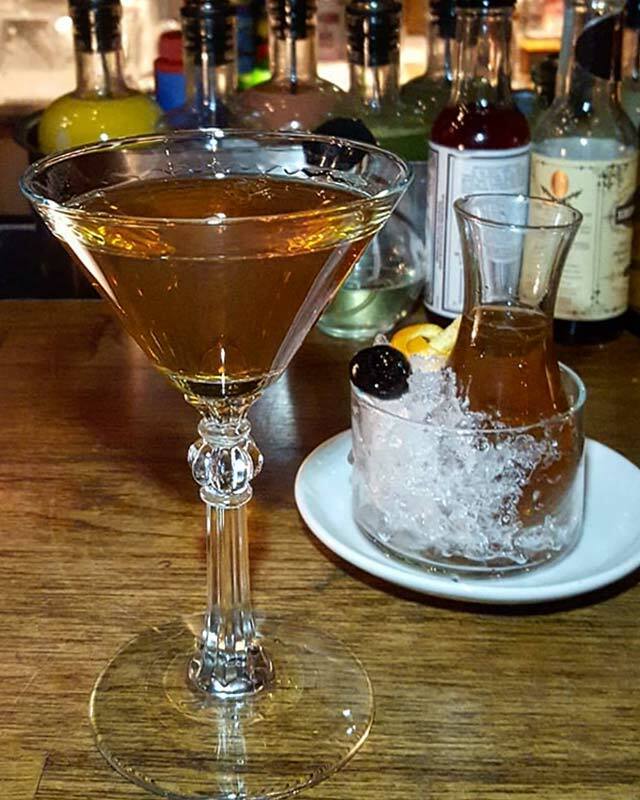 You will be wasting an opportunity to have a craft cocktail that will wake up your senses. These drinks are smart, well thought out and flawlessly executed, right down to the type of ice. So it should come of no surprise that Chef Brad Farmerie puts as much attention into their Saxon Burger. It’s a delicious dry aged Angus beef patty that’s topped with Havarti cheese and some of the best maple bacon I’ve ever had on a burger. At $24 for this burger and fries, you won’t leave disappointed. Inside Tip: If beef isn’t your thing, but burgers are, then try their Impossible Burger. 100% plant-based patty that doesn’t taste like cardboard and dirt. If I was going to open up a saloon it would be Hudson Malone. And if I wanted someone to run it, it would be owner Doug Quinn. 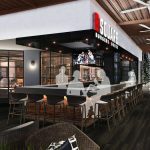 His place has 3 different burgers available, 2 on the menu and the off the menu Bash Burger. I am in constant battle with which one is the best. The fact is they are all great and it depends on your mood and flavor. 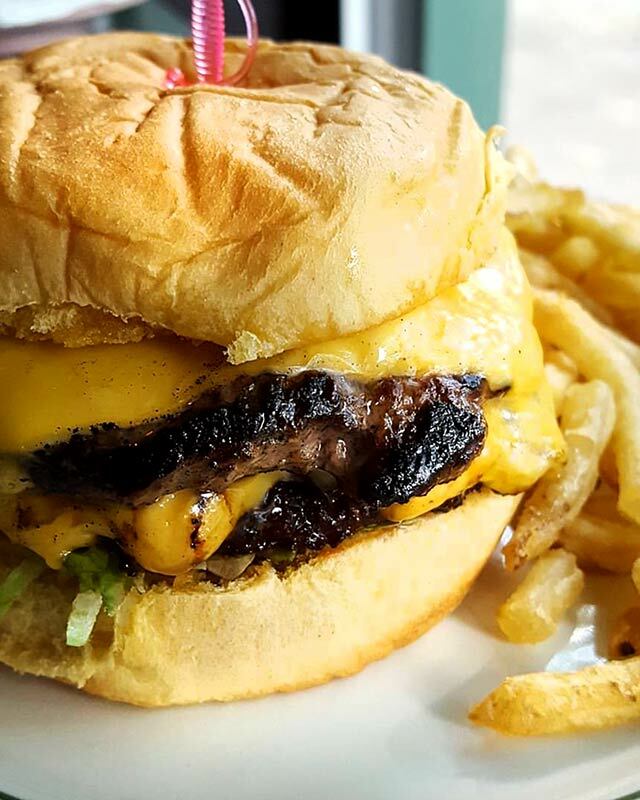 The 3rd Ave “El” Burger has that funky dry aged flavor while the Hudson Malone Burger is that classic bacon cheeseburger with rich caramelized onions. As with many of my favorite spots, this place also has a very respectable whisky and cocktail list. For me, this place is all about the classics. There is a very good chance you will find me drinking the perfect dry martini or a delicious old fashioned. Inside Tip: Rumor has it that Doug Quinn worked at a very popular bar in the city and witnessed a waitress getting harassed by a regular. He tried to step in and was told to leave the regular alone. I’m guessing you can tell how the story ends. That’s a true gentleman folks! As the name ensures this place is about making you happy. The cocktail list is all about fun, tasty drinks like the Pineapple Express where you can choose between rum, tequila or cachaca or the Maid to Order with your choice of gin, rum or tequila. Get the Happiest Burger while you are there. I’ve had this burger a few times and it seems to get better every time I have it. This double patty with special sauce always hits the spot and at $12 id a bargain for NYC. Spend the extra $4 for fries, some of my favorite in the city. Inside Tip: Check out the subterranean cocktail lounge, Slowly Shirley. One of the coolest spots in the city. Most times when you order a burger and Manhattan, it’s pretty predictable what you’ll get served. Not at Chef Angie Mar’s Beatrice Inn. This burger is made using 45-day dry aged beef that’s topped with creamy d’affinois cheese and rich 9 hour cooked onions. This burger isn’t cheap at $38, but this isn’t your average burger. Actually, nothing is average at the Bea! To wash this baby down order their smoked Manhattan and enjoy the show. You’ve never had you drink served like this before. Insider tip: for the ultimate in decadence order your burger with a fried duck egg and truffles.